Xiaomi (pronounced SHOW-ME, think of ‘shower me’ without the ‘er’) recently launched in Ireland through a partnership with Three Ireland and while they are mostly known for their mobile phones, Xiaomi are now more of a lifestyle technology company who produce everything from digital weighing scales to robot vacuum cleaners to drones. They also produce what is possibly the most popular electric scooter in the world right now! Why do I say that? 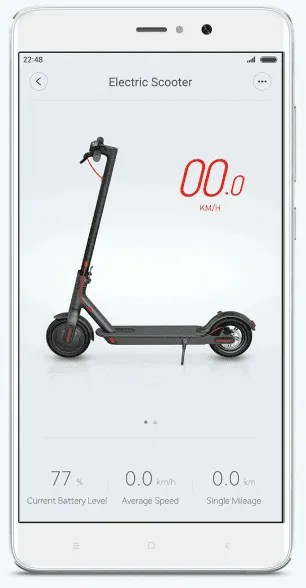 Well, all those electric scooter rental companies you read about in the news and online, most of their fleet would be made up of the M365 Electric Scooter (or another one by Segway, which in fact is mostly owned by Xiaomi anyway!). At the launch event we got to try the M365 Electric Scooter and loved it. 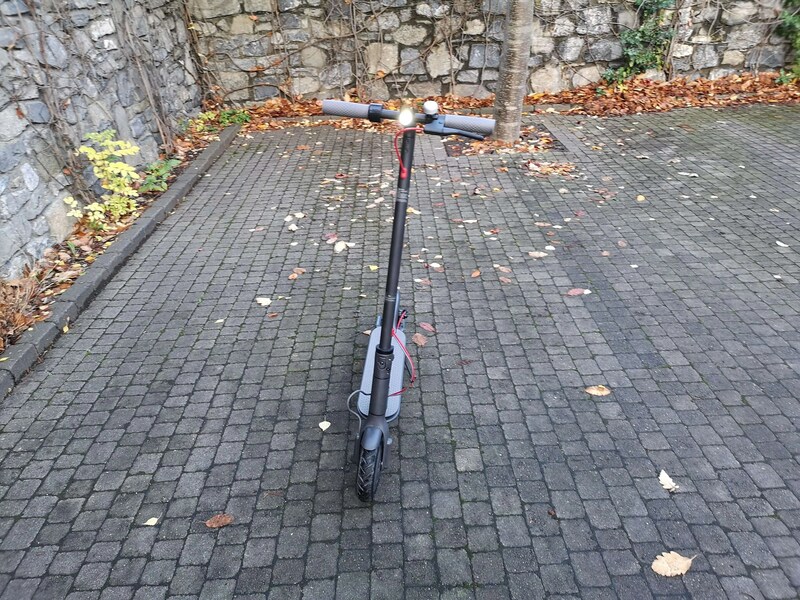 We could instantly see the appeal of these scooters for commuters in Dublin. Let’s get the elephant in the room out of the way first, the legal aspect of these scooters. In Ireland if you own a MPV (Mechanically Propelled Vehicle), such as a car / motorbike, you obviously need Tax, Insurance and need to hold a full drivers licence. There seems to be a bit of confusion where these electric scooters sit with regards legal requirements. 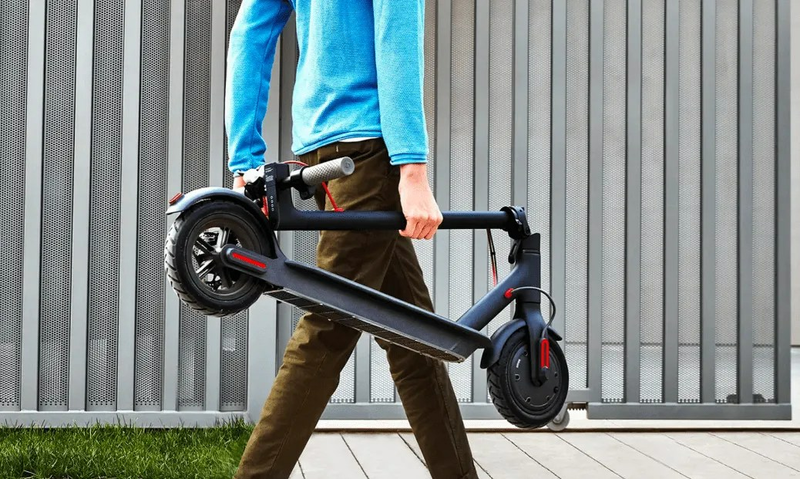 I’ve been doing a lot of research and an MPV should be able to propel itself with no assistance, and that is NOT the case with the M365 Electric Scooter. In order to get started, you need to first kick (or scoot) off and then the electric motor will assist. 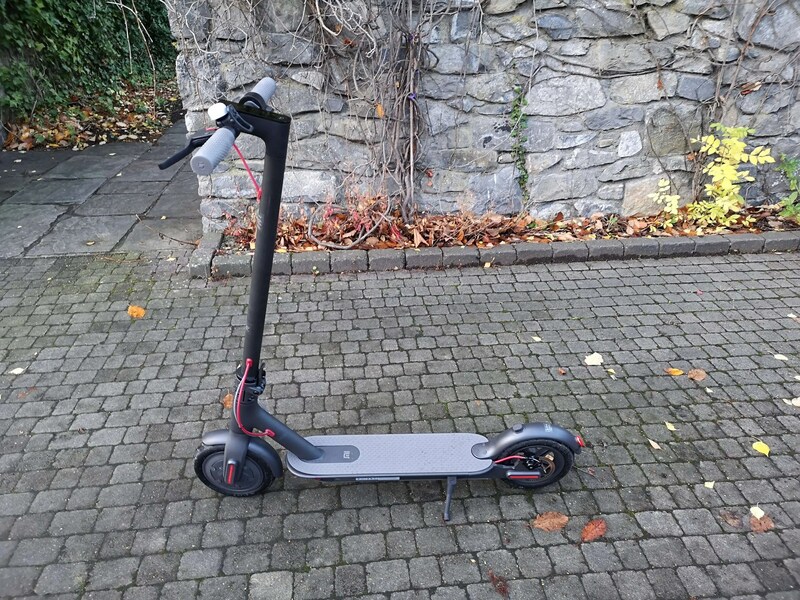 I’ve also contacted the Tax office and a COC (cert of compliance, which cars etc.. need) is required in order to tax an MPV in Ireland, but no such thing for electric scooters, so there is no way to tax the likes of the M365. The same is true for insurance, I was told since there is no reg plate they are not sure how they would insure it. I even tried to add it to my home insurance and they were not sure what to do with it! And my insurance is underwritten by the with the Road Safety Authority (RSA) here in Ireland. So my reading of all this, is if you have one, don’t go about being silly on it. Obey the rules of the road, stick to the bike lanes, wear a helmet and light up so you can be seen clearly and you should be ok! One note on the above, in order to buy one from Three, you need to show you have a full drivers license and sign forms noting you are going to be legally compliant with any / all regulations. This is just Three Ireland covering themselves and I can understand why. 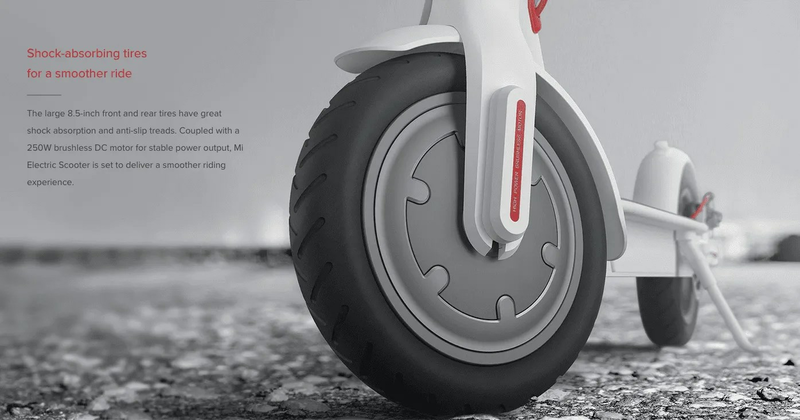 With that out of the way, back to the M365 Electric Scooter. The scooter weights approx 12.5kg, so it’s not the lightest thing in the world, but it’s made of solid aircraft grade aluminium and is packed full of batteries. It’s powered by a 250watt motor located in the front wheel and has a proper disc braking mechanism on the rear while as well as regen braking on the front wheel with eABS. The regen braking will slow you down as well as charging the batteries a bit. This is the same was as hybrid and electric cars work. I’ve found myself being able to time the distance to red lights where I can let the regen bring me to a complete stop. The controls for the M365 Electric Scooter are nice and simple. On the right handle is a thumb controlled accelerator, on the left is the bell and brake handle. In the middle is the power button. A single tap of the power button turns it on, a tap again turns on the headlight and rear light (which also blinks when braking). Double tapping the power button changes the scooter to ‘eco’ mode. This slows things down a lot and is kind of a starter mode. The top speed is limited to 18km/h and there is a lot less torque. 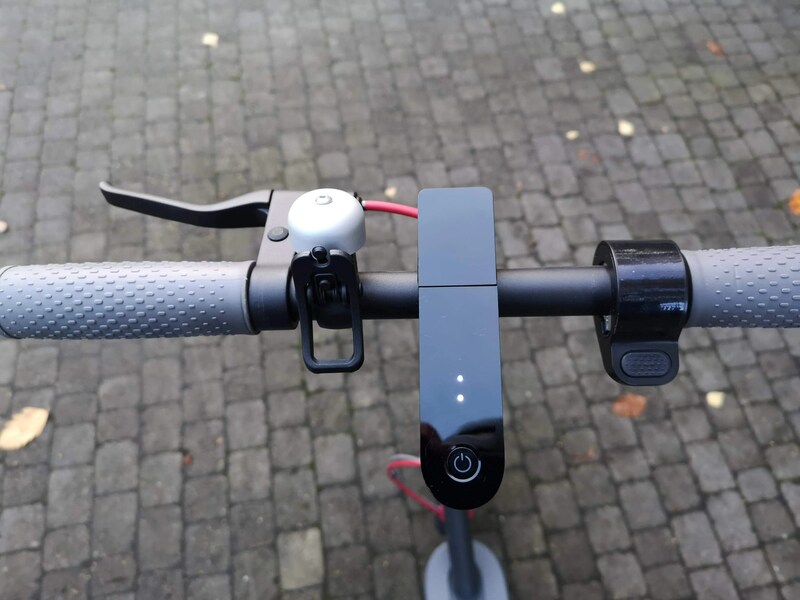 There are 4 led’s on the handlebar that indicate the battery level left. It’s fairly basic, but there is an App to give more detail. Connecting to either the Mi Home app (or the Ninebot – Segway App) is simple. Turn on the scooter, open the app, it will see it and connect. The app will allow firmware updates as well as giving detailed information like current speed, distance travelled, remaining distance and current battery %. It also allows you to change the regen strength (the default is ‘weak’ which I found is more than enough), turn on / off cruise control (this is great, if you maintain a speed for approx 5 second, it locks that in so you can let got of the thumb control and as soon as you tap the brake or accelerator it stops the cruise control). Finally there is an ‘electronic lock’ where you can disable the motor and it will cause the scooter to start beeping if it’s moved. It’s a nice to have, but I wouldn’t leave my scooter outside with just that to secure it! (you can get a standard U lock if you need to lock it up outside). The handlebar can be collapsed down to make things more compact and to be able to carry the scooter. The mechanism works great, but you’ll need to tweak it after riding for a few days in order to tighten it up. The base of the scooter where you stand is covered in a thick textured rubber which is super grippy and I never found myself slipping or concerned in that area. In ideal conditions, the scooter claims a rage of 30km. This isn’t really going to happen in the real world, but you should expect 25 – 27km from a charge as long as you are not going up all the hills! The base also has the charging socket. The main thing you want to know is how is it to rides, well let me tell you it’s super fun to ride! It’s got good torque and can reach speed of up to 25km/h (which is plenty fast for a daily commute). You can easily overtake most bikes out there and with city centre traffic, you can get home in no time. For me, I live approx 6km from my office, it used to take me 45mins to 1hour to get to work between walking to the bus, waiting on the bus, letting a full bus or two go by, being on the bus, walking from the bus to the office. On the M365 Electric Scooter, I get to work in approx 18 mins! It’s a huge difference and while I’m not getting exercise as you would be when running / cycling, I’m getting fresh air and I’m not a ball of sweat when I get to the office! I think these type of scooters will be on our roads more and more in the near future. They are a great alternative to driving and are very cost effective. I’m really enjoying my time with it and so many people are considering getting one now they’ve seen how much fun and how quick you can get around the city!